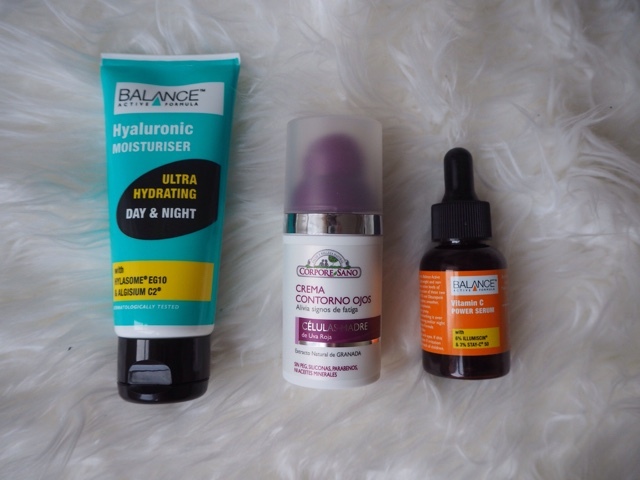 I have recently being trying a lot of new skincare products as I find that I can some times get a little bored of using the same products day after day. 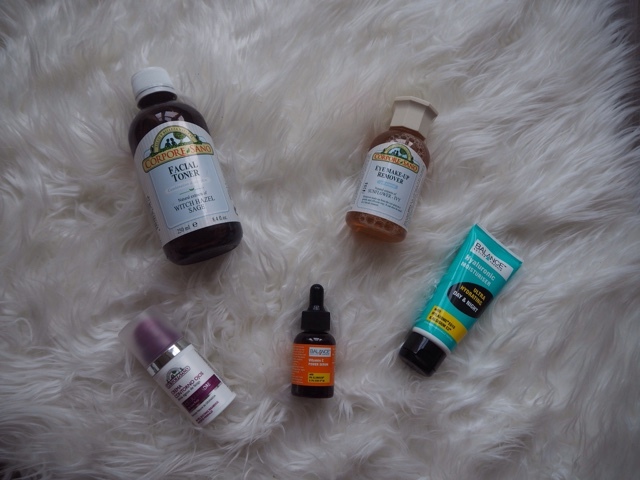 These are a few new additions to my evening skincare routine as I have been a bit lazy with it lately and thought that it needed a little re-vamp. I really like to use an eye makeup remover to begin with as they are usually oil-based and so help to dislodge and remove mascara and eyeliner. This one from Corpore Sano is great at easily removing eye makeup without pulling or a need for excess rubbing. 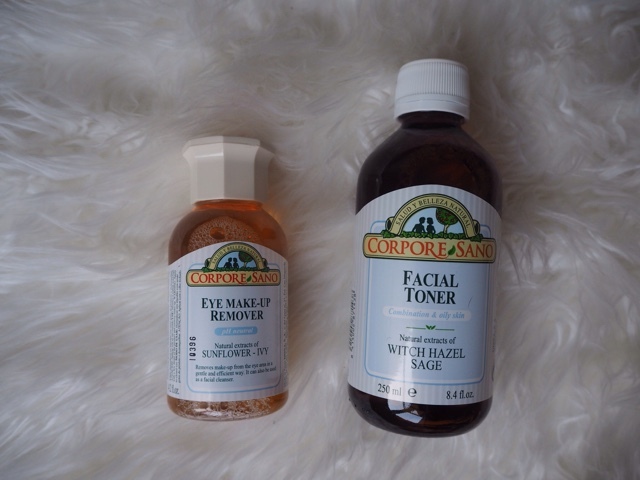 Paired with their Facial Toner which contains Witch Hazel and Sage extracts, it leaves my skin feeling really fresh and very clean. I have also been using this Vitamin C Power Serum from Brodie and Stone which has provided some much needed moisture to my skin. It is so nice to put a pump of this product on to a clean face and let it soak in and hydrate my face. Combined with this Corpore Sano soothing Eye Cream and the Brodie and Stone Day & Night Ultra Hydrating Moisturiser, I go to bed feeling very refreshed and hydrated almost as though I have had a mini facial. What's in your evening skincare routine?